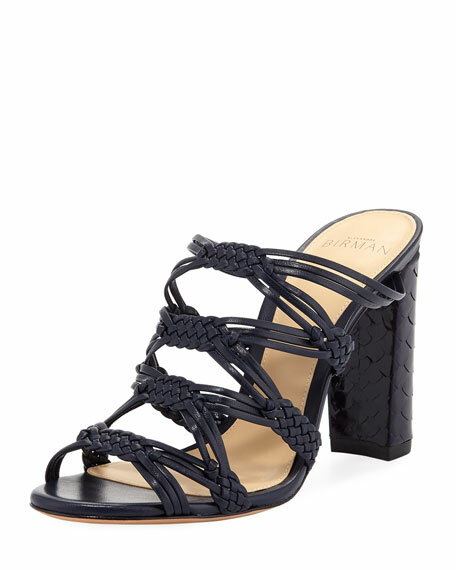 Alexandre Birman "Monalissa" braided leather mule sandal. Alexandre Birman leather sandals with PVC trim. 4" covered stiletto heel. Knotted strap bands open toe. Adjustable ankle strap. Leather lining and sole. "Vicky" is made in Brazil.